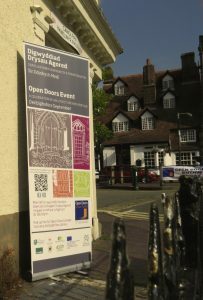 Each September the doors of some of Ruthin’s finest and fascinating buildings are thrown open to the public, usually free of charge. 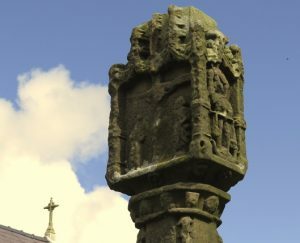 There are also guided tours, activities and exhibitions to enable everyone to enjoy and value Ruthin’s amazing heritage and gain an insight into the way in which the town has developed over the centuries. It was in 1991 that the Council of Europe began European Heritage Days (otherwise known as Open Doors). In Wales, the Civic Trust Cymru co-ordinates them on behalf of Cadw (the Welsh Government’s historic environment service). They offer a unique opportunity to visit a range of buildings, many of which are normally closed to the public. In Denbighshire, Ruthin’s is invariably the biggest and best local event. As co-ordinators, Ruthin and District Civic Association plays a big part in making things happen locally and in the past half-dozen years has worked in conjunction with Denbigh and other civic societies, who each have similar weekends, to provide a co-ordinated heritage experience across south Denbighshire during the month of September. Details of each year’s events and activities are available each summer on this site.